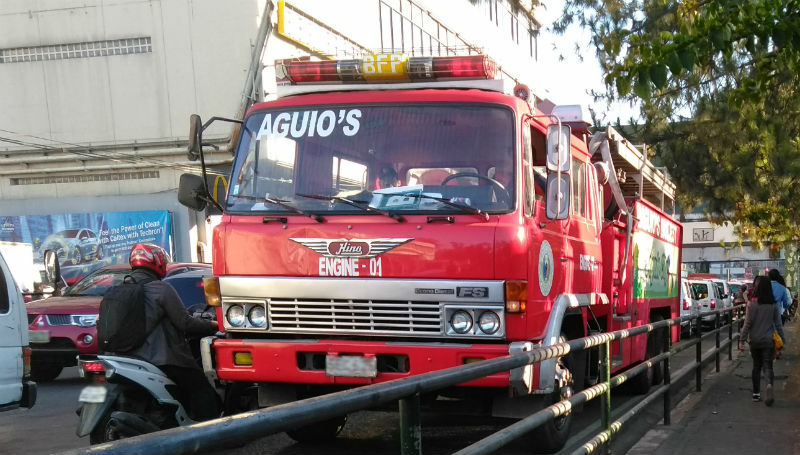 BAGUIO CITY – City and barangay officials and as well as regional and city officers of the Bureau of Fire Protection led the ribbon-cutting and blessing of the newly opened Quirino Hill fire substation located at West Quirino Hill Barangay Wednesday afternoon. Mayor Mauricio G. Domogan, BFP-CAR Regional Director Senior Superintendent Sofia Mendoza, City Fire Marshal Chief Inspector Nestor Gorio and barangay officials of District 8, specifically West Quirino Hill Punong Barangay Anselmo Tao-ing, East Quirino Hill Punong Barangay Joel Bangloy, Middle Quirino Hill Punong Barangay Genesis Gallente, Lower Quirino Hill Punong Barangay Val Oliver Dicang and Happy Homes-Old Lucban Punong Barangay Eva Marie Fianza, including their respective barangay kagawads, joined the barangays constituents in the formal inauguration of the third fire substation. The construction of the 3-storey structure erected in a public lot in the barangay was completed in November last year but its inauguration was postponed 5 times because of the availability of ranking officers of the BFP who were supposed to grace the occasion. However, Gorio claimed that the BFP Director, who was supposed to attend Wednesday’s ribbon cutting and blessing of the fire substation, was not able to attend the said important activity because he was a called upon to attend the confirmation of interior and local government Secretary Eduardo Ano scheduled on the same day, thus, regional and city fire officers and local officials decided to push through with the said event. The project was conceptualized in 2015 when Gorio was still the deputy city fire marshal when he informed Quirino Hill barangay officials during their annual general assembly that the local government was appropriating funds for the construction of a fire substation that could probably be located in the Quirino Hill area to cater to emergency situations in the vicinity. PB Tao-ing claimed that the original site where the fire substation was supposed to be constructed was in Middle Quirino Hill barangay but the proposed area was not suitable for the said purpose, thus, West Quirino Hill barangay officials saw the opportunity to host the fire substation and offered an area within their jurisdiction identified for public use that eventually passed the evaluation of the local government and the BFP for the put up of the desired structure. Domogan underscored the realisation of the long overdue project only shows the commitment of the local government in bring closer to the people in the barangays key services for residents, especially during fires and other forms of emergencies that require the immediate response of volunteers. He appreciated the initiative of barangay officials within the said district to form their own fire brigades to be composed of volunteers who will assist the assigned personnel of the fire substation in the discharge of their assigned duties and responsibilities. Initially, the Baguio Fire Department will be assigning 5 personnel who will be manning the operation of the Quirino Hill fire substation round the clock.